Our goal is to make your communication and organization as efficient as possible. For more than 15 years, we have been focusing on solutions from Alcatel-Lucent. The company stands for solid, easy-to-use and cost-efficient products that you can rely on in the long term. In addition, Alcatel-Lucent is exemplary in ensuring that existing software and hardware investments can be re-used during product upgrades and expansion, and that only the absolutely necessary ones have to be restarted. 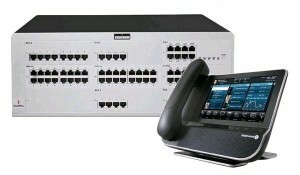 Nowadays we can provide you with a telephone system that is fit for the future.